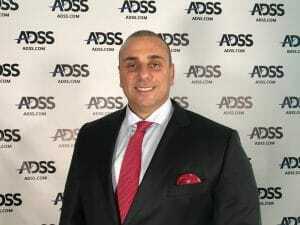 ADSS has hired Jean El Khoury to take the role of its head of marketing for the MENA region, according to a corporate statement. With over ten years of experience in the region, Jean joins the heavyweight brokerage with a focus on expanding and continuing to innovate brand partnership campaigns and create new opportunities for the company. In this capacity, he is working based out of the company’s headquarter in Abu Dhabi to develop multi-channel marketing and content solutions that are measurable while leveraging the unique attributes of ADSS and its expanding technology offering. Prior to joining ADSS, Khoury worked for international companies where he teamed up with FX brands across the region to build digital strategies and create innovative online experiences. This includes marketing roles and stops at EasyMarkets, formerly Easy Forex, and Chief Marketing Officer at Commexfx. Most recently, he was head of marketing at Impact Tech LTD, a Cyprus-based provider of business intelligence solutions.